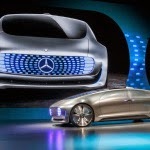 Global company, "Daimler" auto luxury announced Monday evening for a model of self-driving car of the future, which is dubbed "the Mercedes-Benz F-015" Mecedes-Benz F ". Through the exhibition International Consumer Electronics CSE 2015, where the company's CEO, "Dieter Cica" said that any person who focuses on the technical and not others, it is not yet aware of how the mechanism driving change our society. " He also said: "The car exceeded its role as a mere means of transport, and will eventually become a moving space for living." 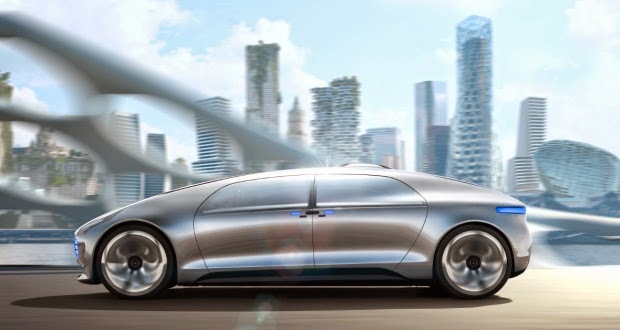 And still currently months automakers focus on self-steering mechanism smart drive and control systems, such as Daimler and VW, Audi and BMW, and the most important systems are braking systems and safety while driving. 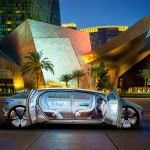 This and that the new smart car "Mercedes-Benz F-015" is characterized by a wide cabin and comfortable ride, and also can accommodate only four people, and can be driven either automatically or Edioaa as desired by the driver. 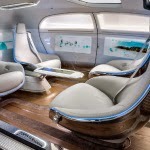 It can also manage all car seats to be interviewed for each other in the case of the car stopped, and has been provided with six touch screens and gestures or follow the eyes, and be dispersed across the cockpit. In addition to this, it has been the design of the structure of the car Anti ruggedized made of carbon fiber and aluminum, steel, although very light weight, and the car owner can set up an automated engine and fuel cells.